Quality Private Dental Care for you and your family. Dedicated to providing quality professional dental care for you and all your family. We promise that all of our patients will receive the type of dental care we provide for our own friends and family. We strive to ensure that we consistently meet the very highest standards of care available in General Dental Practice and we will refer to trusted Specialist colleagues should that ever be required. We work hard to make your experience at the practice as pleasant and convenient as possible, so please let us know if you require any particular assistance. Many of our new patients come to us via personal recommendation and we encourage you to tell your friends whenever you are happy with our clinical skill and customer service. Children are very welcome as patients of Shipston Dental Practice – we are determined that our youngest patients are looked after exceptionally well. 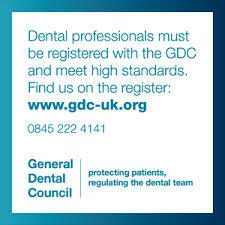 The Care Quality Commission regulates Glebe Practice Services Limited to provide services at Shipston Dental Practice.